How to get there: The mountain is a ridge parallel to and east of Ulvekam. The highest point is at the southern end facing Hybens Bjerg and Torstind. Route description: The mountain is separated from a ridge with several small summits going eastwards (a bit north of east). The glacier between this ridge and Pålsryg forms a nice valley before climbing quite steeply to the pass between the aforementioned ridge and Pålsryg. There are some crevasses near the top. I skied this slope both down and up, however, it can be avoided if approaching on the south side (from the east) of the ridge. There are several rockbands with snow in between coming down towards the pass from a point approximately 50 meters north (to the right) of the summit. 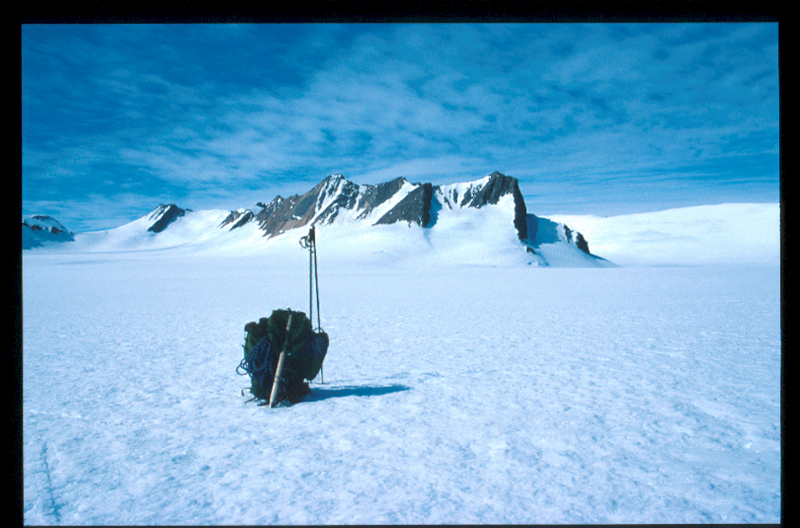 I climbed one of these snow fields (quite narrow at places) while keeping contact with the rock next to the snow. The slope is less steep higher up and I could continue on good rock to the main ridge line. From here, an easy scramble south (left) to the highest point at the end of the ridge. Comments: This was a solo climb, a good sized cairn was built at the summit. This cairn could later be observed from Base Camp. Pålsryg. 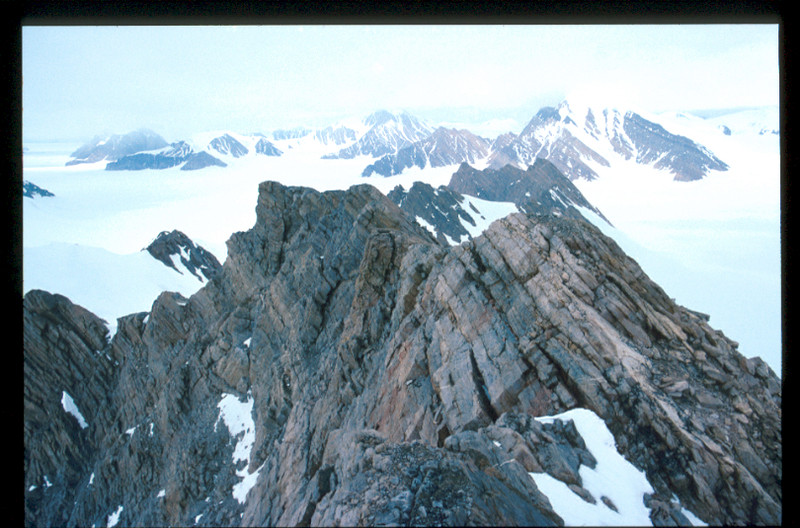 The highest point is the south end near the snow saddle that can be seen left in the picture. View north along Pålsryg from the summit point.